Increased storage is accessible in the same location or folders. 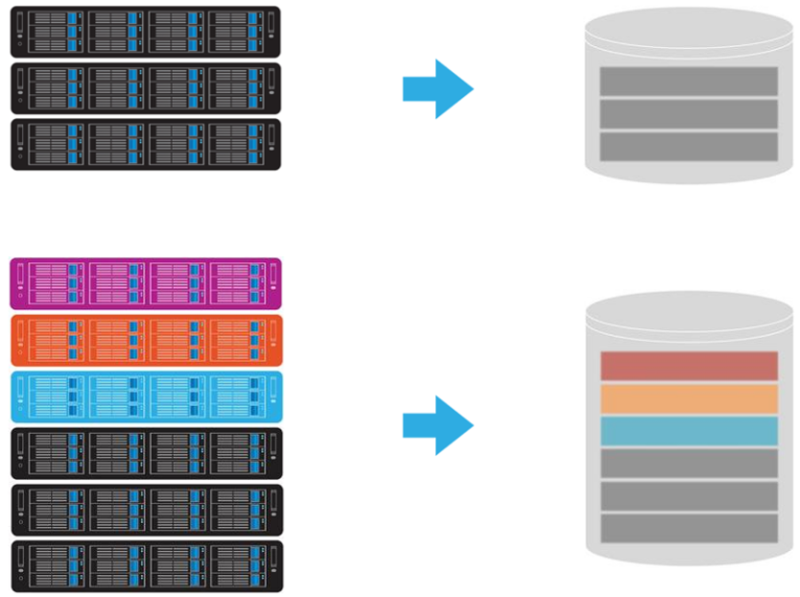 Server shared storage disks are increased under the same storage. 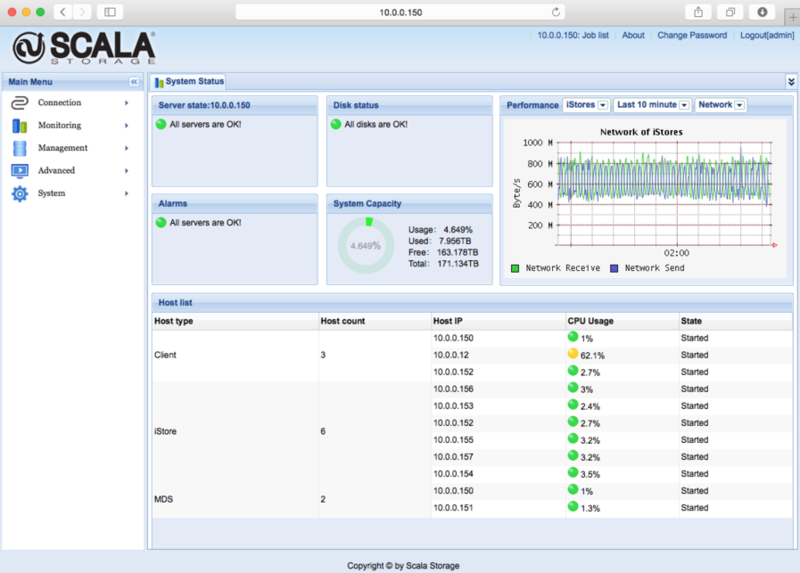 Increase the total system bandwidth and performance as you increase your storage. 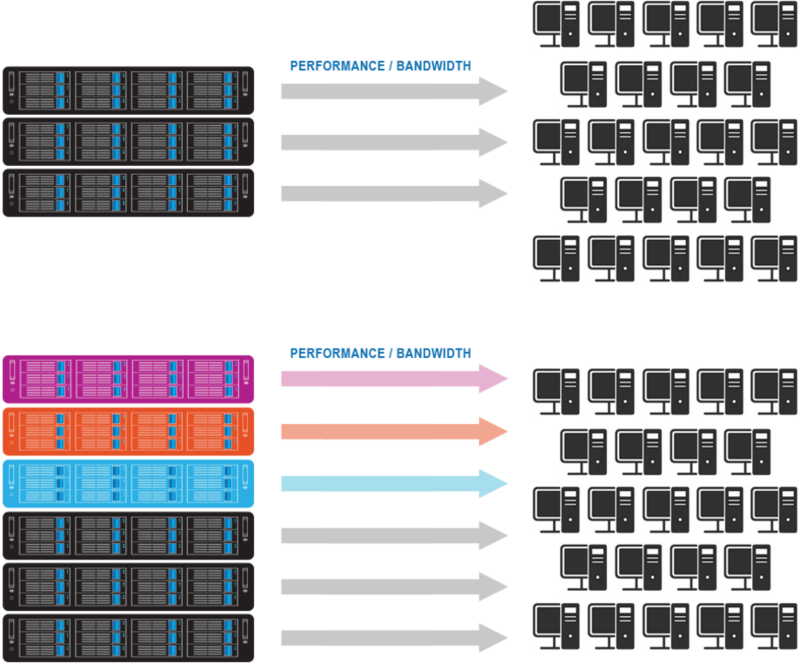 Increase existing storage capacity and performance without downtime​. When adding a new storage node, Scala Storage will auto-balance the usage without impacting the uptime. 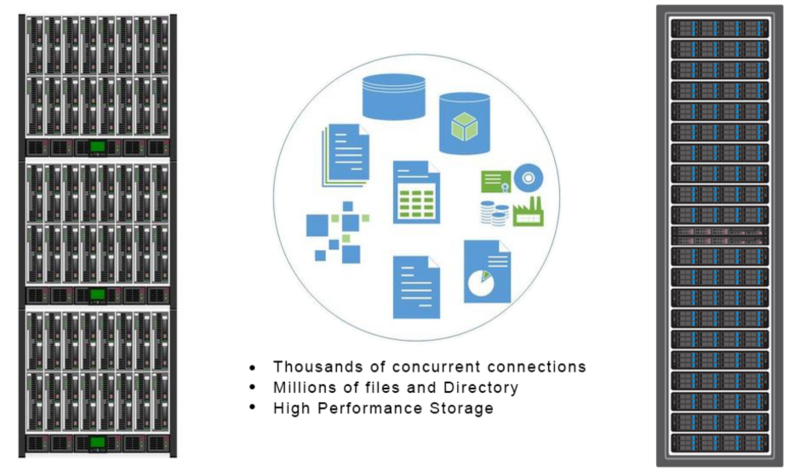 Scala Storage File Systems (ScalaFS) supports thousands of concurrent connections and millions of files, while providing the same high performance. Best in class utilization rate available in scale out storage systems. You can utilize up to 80% of the total volume without single point of failure. 100% uptime even a complete iStore node failures. System capacity, performance and Metadata, iStore and clients system status can be viewed under a single web-based management interface. Managing TBs of data is as easy as handling PBs of data.